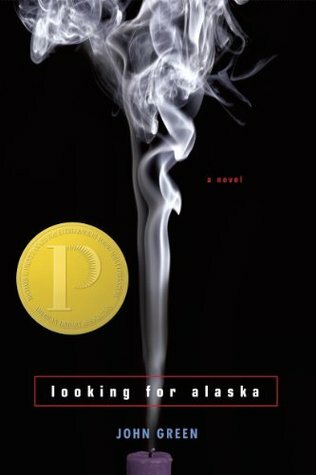 THEN: Looking for Alaska *review* is the book that I just finished. I read it for my young adult literature class, and I really enjoyed it. The characters were relatable and I loved reading something from John Green again. Alaska was very mysterious and it was fun to read about some mischievous teenagers. I loved all the pranks that they pulled; they were super fun to read about. 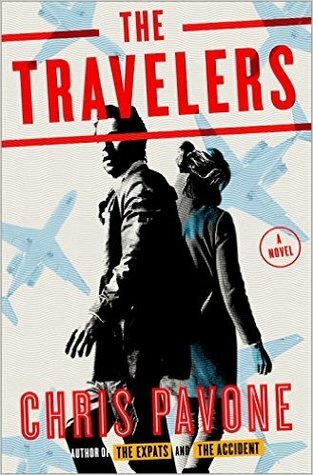 NOW: The Travelers is the book that I’m currently reading. I got this for review from NetGalley, and I am really not liking it. I will hopefully have a review up soon, but I just really don’t like it! It’s boring, and not what I was expecting. Like at all. 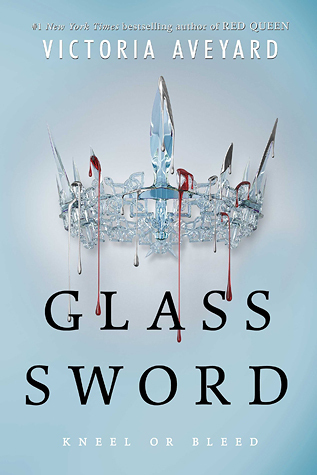 NEXT: Glass Sword is still in this position. I should have started this a while ago because I’m reading it for book club, but busyness and school have taken over all my free time lately, so it’s taken a back seat. I am still really looking forward to reading this book. I really enjoyed the first one of the series and can’t wait to see where the characters go next! I saw this on ChrissiReads, and I think I would like to start doing these weekly. Now, if I am currently reading multiple books, I will only put the one I read most recently during my day in each post to keep it condensed. In theses posts I will be talking about what I read then, now, and what I will read next! Click on the photo to go to the Goodreads page! 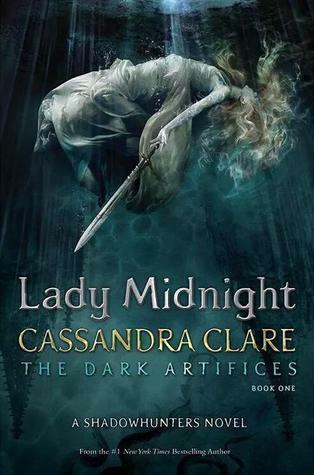 THEN: I just finished Lady Midnight yesterday and OMG IT WAS AMAZING! The review will be up on Friday! I loved all the characters, and the character development was perfection. I feel traumatized, but in a good way because of it. The ending was perfect for the situation in the book, but the situation was not ideal. 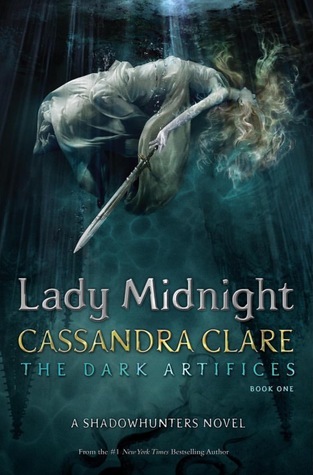 I highly suggest reading anything by Cassandra Clare. So good. NEXT: Glass Sword still takes this position. I’m really excited to read it, but I just haven’t gotten around to it. I loved the first book in this series, and I loved the novella that I read, so I don’t know why I’m so hesitant to read this! I promise I’ll start it soon. What books are on your list of then, now, and next? The Cuthberts are in for a shock. 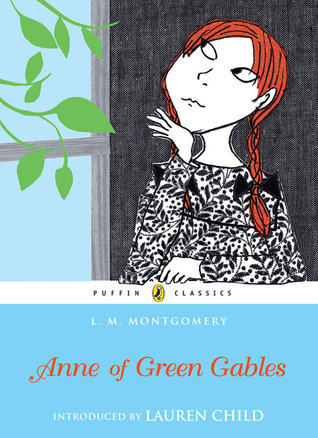 They are expecting an orphan boy to help with the work at Green Gables – but a skinny red-haired girl turns up instead. Highly spirited Anne Shirley charms her way into the Cuthberts’ affection with her vivid imagination and constant chatter, and soon it’s impossible to imagine life without her. A favourite classic with cover and introduction by the inimitable Lauren Child, award-winning creator of Clarice Bean and the hugely popular Charlie and Lola series. This book was so adorable. I started it and was a little wary because it was written in a style I’m not used to, but after about 100 pages I was in love. Anne is so cute, and all the experiences she has at Green Gables are just so adorable. Anne is adopted by Marilla and Matthew Cuthbert, but kind of by accident. The siblings wanted a young boy to help out on the farm, but instead they were brought a chatty-red haired girl. Anne is obsessed with the idea of romance. She loves beautiful things, and makes sure those around her hear about the wonderful things she sees. Matthew and Marilla come to love her as they would a child born from either of them. I so thoroughly enjoyed reading about Anne and her adventures with her bosom friend, Diana. She becomes easy to relate to and you want to know what happens to her next. Anne is a hard working girl who loves school and all aspects of learning. She is also always outside thinking of the beautiful things around her and daydreaming to her heart’s content. She’s “sworn enemies” with a boy named Gilbert, but actually has a little crush on him and it’s just so cute. This will be a book I read to my kids when they’re young. I love how Anne talked and how she interacted with her peers, Marilla, and Matthew. I love the name Avonlea even though it’s the name of the small town school area. I think it would be an adorable name for a little girl. If you haven’t read this book, I highly suggest it. It’s a fun whirlwind of a story. It’s light-hearted, fun, and reminiscent of summertime. 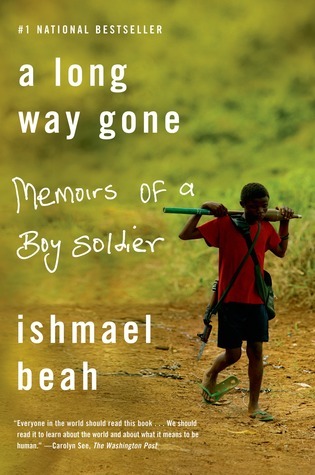 At the age of twelve, Ishmael Beah fled attacking rebels in Sierra Leone and wandered a land rendered unrecognizable by violence. By thirteen, he’d been picked up by the government army, and Beah, at heart a gentle boy, found that he was capable of truly terrible acts. At sixteen, he was removed from fighting by UNICEF, and through the help of the staff at his rehabilitation center, he learned how to forgive himself, to regain his humanity, and, finally, to heal. The novel starts out by talking about Ishmael and his life in Sierra Leone. Ishmael enjoys dancing and rapping, and participates in talent competitions with his friends. Ishmael and his younger brother head out to stay at their grandmother’s house in order to go to a talent competition the next day, and they see that the war has started. Ishmael and his brother go out and search for food, and decide to go back for their family, but can’t get back into their village because of the bloody battles that are happening. The two boys end up running away and meeting a group of boys about their age, and they are all taken to become part of the war. Ishmael and the group of boys have to destroy villages and learn to shoot guns, and as rewards all of them get drugs. This goes on for a large part of Ishmael’s life, until they suddenly are taken to a rehabilitation center away from war. He gets better and copes with his PTSD and ends up feeling okay enough to go live with his uncle, aunt, and cousins. Ishmael gets the opportunity to go to New York City for a conference talking about the hardships of war, and gets to leave the war-stricken country. He comes back to a life he thought was fortuitous, but ended up being thrown back into the war in a way. He runs from his family in order to be safe, and goes to NYC to live with one of the women he met at the conference. The story ended with a parable about a monkey and a hunter. Choose to shoot the monkey and kill your mother, or not shoot the monkey and kill your father. At the very end of the story, Ishmael said, “that if I were the hunter, I would shoot the monkey so that it would no longer have the chance to put other hunters in the same predicament,” (262). I think that this ending showed how much Ishmael had developed as a character because he didn’t want revenge on anyone specifically. Ishmael wanted to help people in the future so that they wouldn’t have to go through what he went through as a young boy. I honestly didn’t love this book. It was okay, but not great. I have never read anything like this because I usually stray away from books about wars. This is about the civil war that happened in Sierra Leone, and the actions Ishmael Beah took throughout his life. This book is mostly centered on his childhood and being a boy soldier in the war. I would recommend this book to anyone who enjoys reading about wars and battles. There were a lot of action scenes in this book. Although I didn’t enjoy it, I can see why people would want it to be part of high school curriculum. My mom and my friends, Maddie and Andi, and I met at 6:45 and drove the three and a half hour drive to Omaha, Nebraska. I drove the whole way in my silver Jeep Liberty named Luna (as in Luna Lovegood), and we get to the place the signing is going to be at. Alright. So we pull up to the middle school/library and we see about 100-150ish cars in the parking lot and absolutely NO SPOTS LEFT. We were freaking out. It was literally 10:30 am when we got there and the event started at 1:30… How were there so many people there already?! We sit down and hang out with them for a little while and then figure out we’re at the wrong door. Okay, so we walk over to the original door and sit down in the line that we started. There were about ten of us there until 11:30, and then EVERYONE and their mother started showing up. We were within the first ten people of a crowd of about 400 people. It paid off that we got there early! My mom and aunt (who lives in Omaha) brought us some pizza and bread sticks at 11:45ish and we sat down on the pavement and ate that. It was really great, actually. Props to Little Caesars. Anywho. So we wait until 1:30, and they let us into the auditorium that the Q&A would be in. Since we were at the front of the line we got to sit in the front row. The event was scheduled to start at two, so by the time everyone was settled and in their seats it was 1:45ish. We all waited and waited for 2:00 to happen, and then there was an announcement saying that their tour bus was late. It was 20 minutes late. I get that traffic is bad, but for real. Ugh. So we wait the extra 20 minutes. Then the moment we’ve all been waiting for. Cassandra Clare, Holly Black, and Sarah Rees Brennan all walk into the auditorium and everyone FREAKS out. Oh my gosh it was so great! The three took questions from the audience and answered them. We got some hope for a Malec book. Holly Black said that Will Herondale was her favorite character. Sarah Rees Brennan said that Julian was her favorite. Cassandra Clare didn’t say a favorite, but I think that it’s Jace. After the Q&A there was the signing portion. We went out into the lobby and got our books signing. I have a book that Cassandra Clare wrote my name in for me! Ahh! It was an amazing experience, and I highly suggest going to an author event no matter who the author is if you have the chance to! It was one of the best experiences of my life, honestly. My boyfriend, who didn’t go cause not a book nerd, finally witnessed my full fangirl mode. I FaceTimed him for an hour and a half and I’m pretty sure he got in about 15 maybe 20 words the whole time. GoSh It WaS sO gOoD!